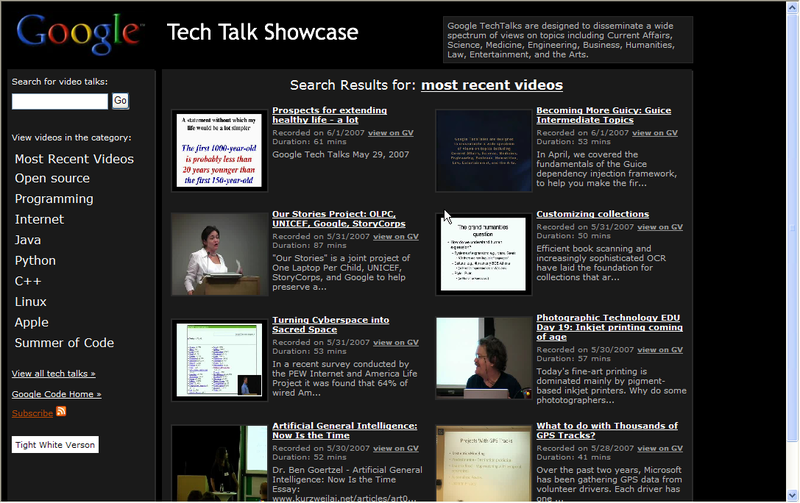 Dion Almaer has provided a nice new portal to the Google Tech Talk Showcase of tech videos that are hosted on Google Video. I’ve been picking these up from a search feed that looks for the engEdu tag on Google Videos and watching the videos for a couple of months now. Dion’s new showcase site now puts everything in one place. Of course, there’s also an RSS feed that in Google Reader shows you the videos right there in your feed.